Hi everyone! 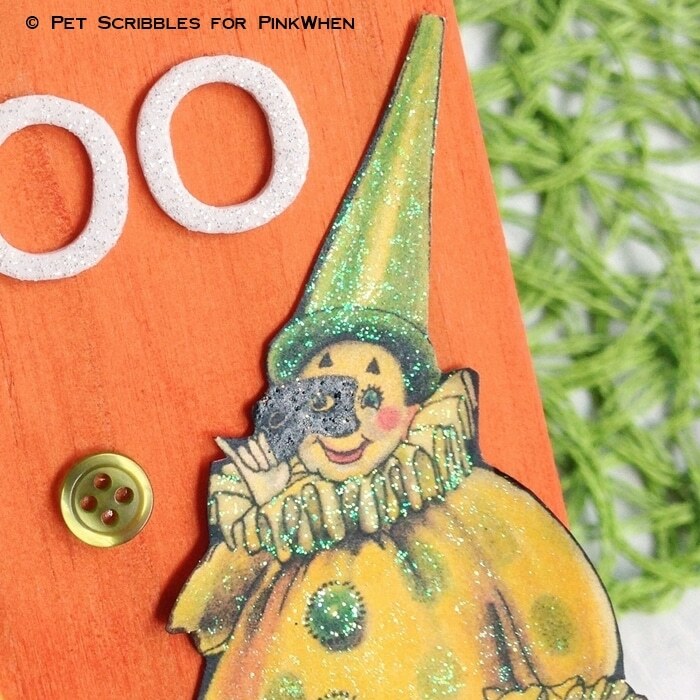 Laura here from Pet Scribbles with a fun DIY Halloween plaque to make! 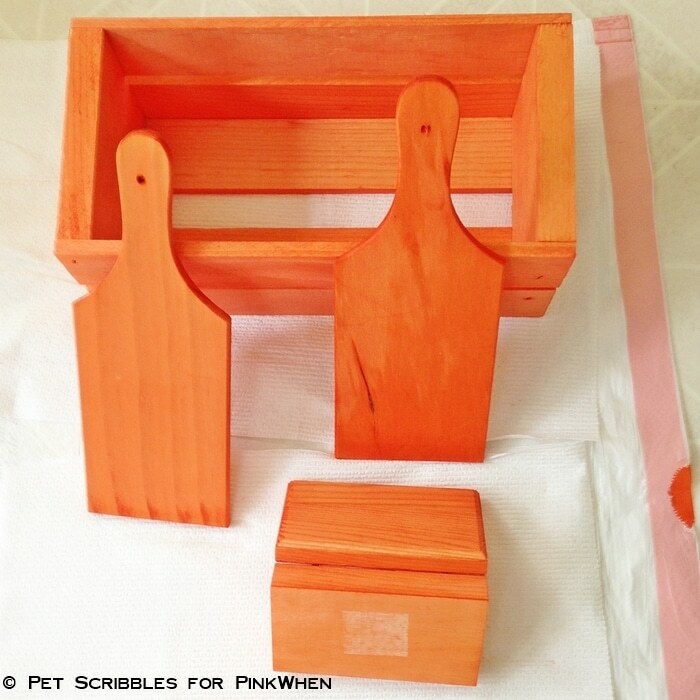 This is an inexpensive project that doesn’t take long to put together once you dye the wood orange. Dye wood? Yes indeed! I love to paint wood, but there are times when I prefer dyed wood as every bit of the grain shows through the dye and it makes for a nice effect. Dyes come in both liquids and powders and the best tip for the least mess is proper setup ahead of time, which I’ll discuss in a moment. Step One: Organize your workspace for this project. Dying wood can be messy, but it doesn’t need to be. I’ve found that taking the time to properly set up your area ahead of time will help you avoid most messes and make cleanup much easier. 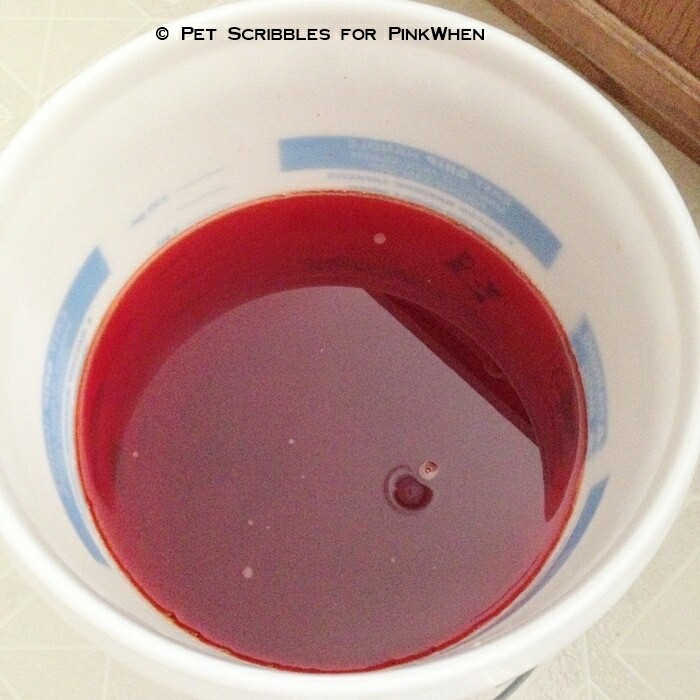 Step Three: Make your dye bath in a large all-purpose bucket, according to package instructions. 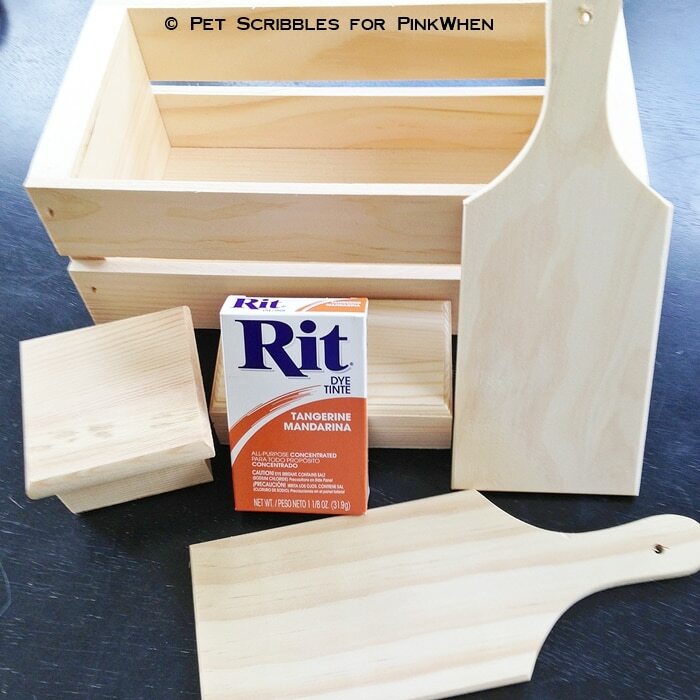 I used Rit Dye for my project, but there are other brands out there so just be sure to follow directions for the specific dye you choose to use for your project. Step Four: Dye your wood! Whether dying multiple pieces of wood, or just one item, it’s important to make sure the dye gets into every part of the wood. As unfinished wood tends to float, you’ll need to use either a long-handled spoon or a wooden skewer to keep pushing the wood pieces back down into the dye bath. How long do I leave the wood items in the dye bath? I honestly eyeball it. You will be able to see what the color is in about 10 minutes time. 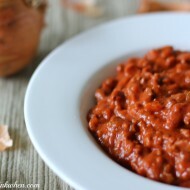 Leave it in longer for a deeper color or just a few minutes for a lighter color wash. Step Five: Remove your wood items from the dye bath and set onto paper towels (with plastic sheeting underneath) to dry. Occasionally turn your wood pieces over to make sure the wood is drying evenly and that there’s no excess dye escaping anywhere. I let my wood dry overnight. 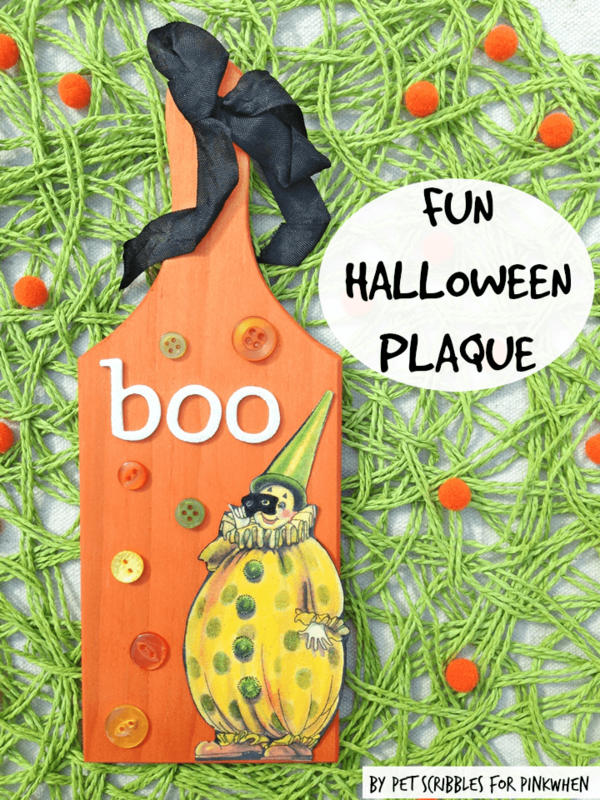 Step Six: Decorate your wood plaque for Halloween! Yes, this is the fun part! 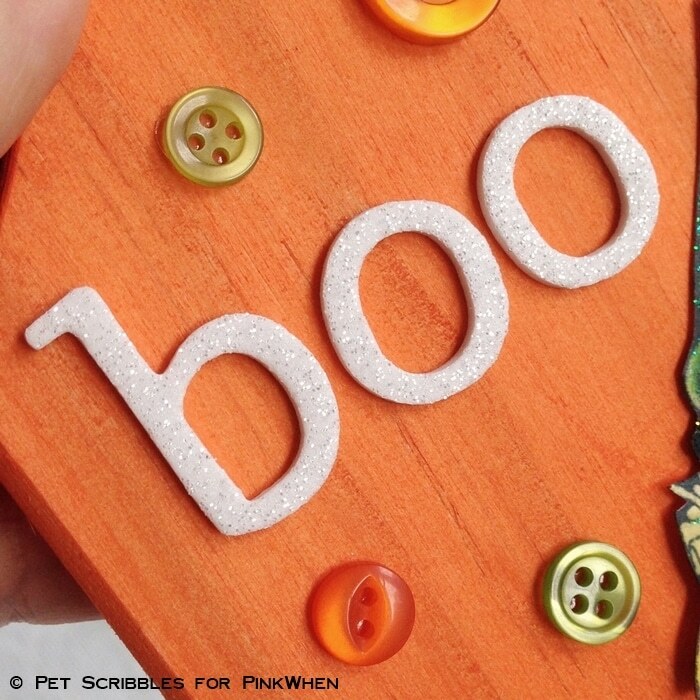 Use raised adhesive glitter letters to spell out a fun word. I chose “boo” and used all lowercase letters. 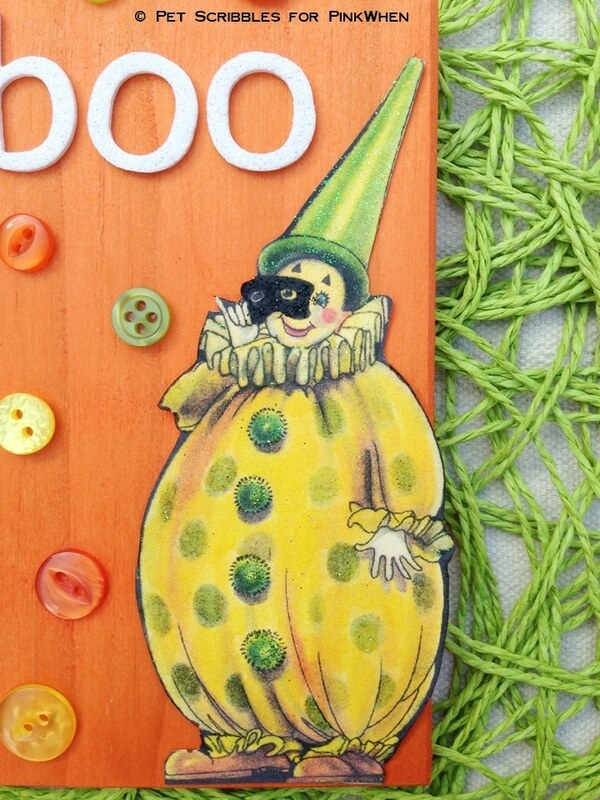 Use small adhesive glue dots to adhere colorful buttons (that match your vintage image) to the cutting board. Tie a black ribbon scrap through the opening and make a bow. 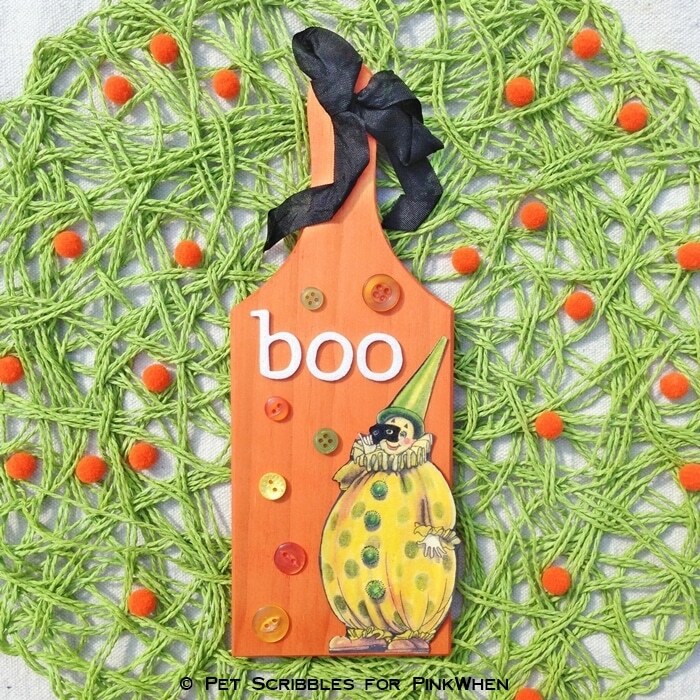 Hang your fun Halloween plaque up with the ribbon or set it on a bookshelf or mantle among your other Halloween decorations. 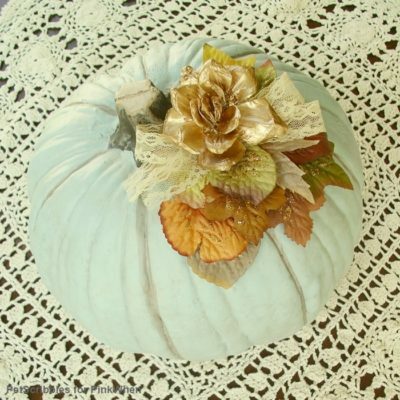 For another fun vintage-style project, check out my DIY Embellished Faux Pumpkin that I shared here on PinkWhen last year! 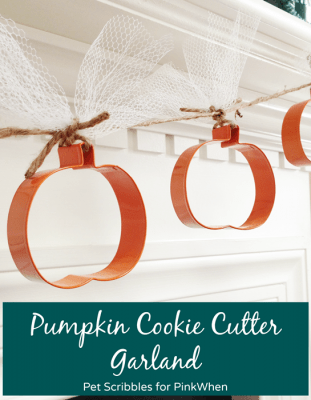 And don’t miss my Pumpkin Cookie Cutter Garland from last year too!